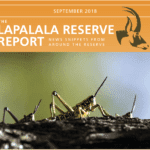 Lapalala Wilderness has opened it’s new Founders Camp at Schotia Plains in the core area of the Reserve. 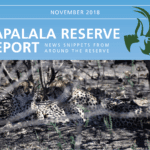 The big 5 Lapalala Wilderness has now been extended to 45,000 hectares. Founders Camp will host prospective Custodians visiting Lapalala. The camp is made up of a main lodge and 4 accommodation tents of which two are double and two family units. The main area has been designed and built around a beautiful Weeping Boer Bean tree (Schotia Brachypetala) and the camp views across the Schotia Plains. The camp substructure has been built with plantation pine radiata wood and walkways link the tents and the main area. A solar energy system has been established to power the camp with a photovoltaic panel and inverter system. Sites are now available at Lapalala of approximately 1,450 hectares each. 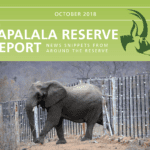 The purchase of the land subdivision includes freehold title to the land portion of 1,450 hectares, traversing rights in perpetuity and a share in the Lapalala Special Species breeding project. The Gabar Goshawks are African birds of prey that are wide spread over much of Southern Africa, excluded only from the drier parts in the West. Their preferred habitats are open woodlands. The Gabar Goshawk has aberrant plumage colouration which is due to a genetic mutation. In most bird species this is often caused by injury or poor diet. This occurs in approximately 10-20% of the Gabar Goshawk’s population. The normal plumage is a slatey grey on top and a pale barred grey at the bottom. The melanistic plumage is almost totally black with pale barring on the wings and tail. This striking yet extremely quick little hawk is specifically designed to catch birds in flight but will also take them straight off the ground. The long toes and legs wrap around flying prey quickly and efficiently to prevent the captured bird from being able to flap and possibly injuring it’s captor. The average clutch consists of two to three eggs, which are incubated for about 28 – 30 days to hatching. The breeding season is mainly from August through to March. 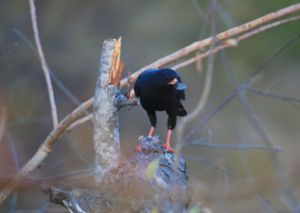 This bird is often seen in pairs, however this individual in the photo is a melanistic male that had a normal plumage female spouse. In the image it can be seen eating a Lilac Breasted Roller chick that it had hunted out of a nearby tree trunk.